Celebrated for almost 150 years as the prototype of the American adventure story, The Last of the Mohicans remains a perennial favorite, an astonishingly complex work to be read on many levels. Irradiated by an elusive irony that gives epic scope to the American colonial experience, it projects on a broad canvas the futile efforts of European armies to wrest a glorious wilderness from the Indians and each other. It speaks with compassion of racial injustice and prejudice, especially of the dispossession of the Indian. In tribute to his friend Cooper shortly before the novelist's death, George Copway, the Chippewa chief Kah-Ge-Ga-Gah-Bowh, wrote: "No living writer, nor historian, has done so much justice to the noble traits of our people. The whole American feeling takes pride in such a man, as the author of The Last of the Mohicans." 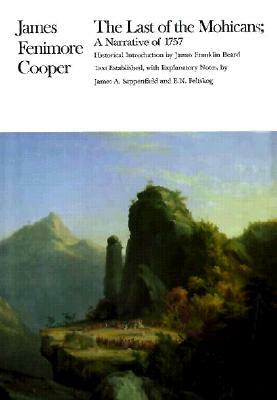 Suggested by Cooper's visit to Glens Falls and Lake George with four British travellers in 1824, this book is the second of the Leatherstocking Tales in point of composition and also in the chronology of the hero's life. In it Hawk-eye appears as a reincarnation of the Leather-stocking of The Pioneers, now a younger, hard-bitten Indian scout.